Last year and the year before, the stone/tan colour was so in. It's fair to say that colour has had its time and now khaki has taken over! Whether it's a shirt, a dress or a jacket- it's totally taken over the fashion/beauty market. 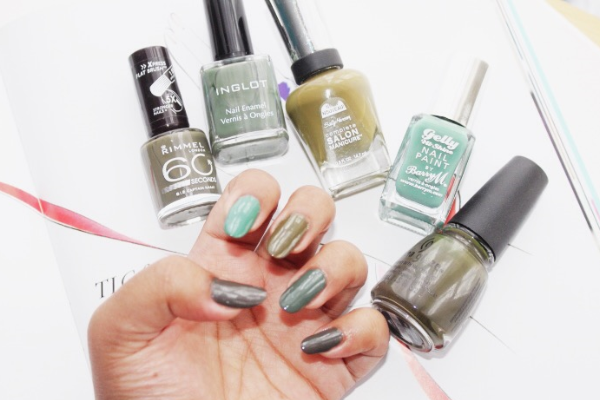 Here are a few of my favourite shades of khaki to wear on my nails, perfect to wear all year round, especially during the upcoming Autumn months. "This requires only one coat. Get good colour and shine on your nails." "The perfect nail enamel that provides durability, high gloss and a short to medium drying time." "Base coat, strengthener, growth treatment, colour and top coat- all in one." 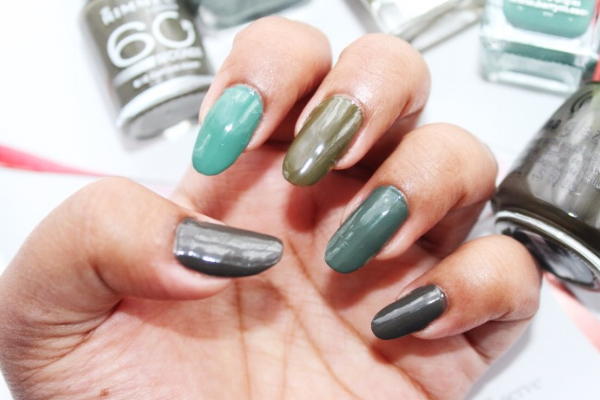 "Achieve the salon look without stepping foot in one with the Gelly Nail Paint Autumn Collection." 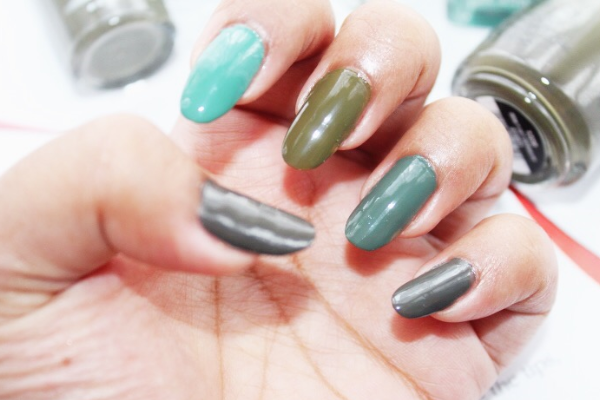 "A gorgeous khaki brown for an autumnal inspired manicure."